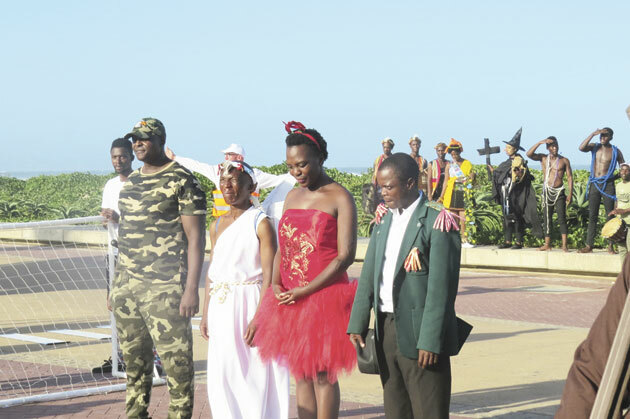 Self-taught performers enjoyed the chance to showcase their skills at the Fresha Festival of open air theatre which entertained beach goers at Durban’s North Beach from 18-20 January. 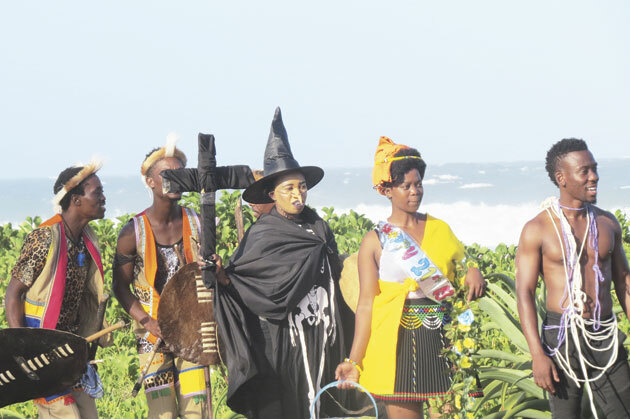 Performer, Praise Chule who took part in a show called ‘Funeral at the Beach,’ said that she was a self-taught artist and had been performing since 2013. “We are very excited about the Fresha Festival. It is a platform that allows us to explore physical theatre and we really enjoy it, as artists,” said Chule at the festival launch on Friday, 18 January. Another performer, Zwelikhona Mendu, said that the festival gave him and his team a chance to brand themselves. “It’s my first time performing at the festival this year. I am a self-taught artist and I’ve been performing since 2009,” added Mendu. The festival included singing, dancing, comedy, street theatre, hip-hop, puppetry and aerial acts. The festival was directed by Emma Durden, supported by Roel Twijnstra and presented by Twist Theatre Development Projects which focuses on the development of community theatre groups in KwaZulu-Natal, and on creating sustainable relationships and networks for theatre development, both locally and abroad. Twist is funded by The National Lotteries Commission and the Embassy of the Kingdom of The Netherlands. Additional funding for Fresha has also been graciously provided by eThekwini Municipality, the Department of Arts and Culture, KZN and the KZN Performing Arts Trust.